‘Flash’ Competition for my Twitter Followers. In celebration of reaching a milestone in my book sales, and as way of a small ‘thank you’, I am running a ‘Flash’ competition for all my Twitter followers. All you have to do to be in with a chance of winning, is answer a simple question. Once you have the answer, send it to me via a private message on Twitter. From all the entries I receive with the CORRECT answer, one will be drawn at random as the winner. For the prize, you can select anything from the Jane Austen Gift Shop, up to a value of £10.00 GBP. They have some amazing items in this price range. I especially love their Jane Austen Quote cups, and the I ❤ Darcy tote bags. I will arrange delivery and cover any postage costs. What did Darcy find in Wickham’s waistband, and whom did it belong to? If you’ve read the book, it’s simple. p/s I will be holding more of these flash giveaways in the future, and all the answers can be sourced from my book. I have been asked if I would share another extract from my book, and this section in particular was requested. Having worked her way down, Elizabeth came to the final drawer. When she opened it, she was surprised to find it contained nothing. Bending down, she felt right to the back and as she did so, her finger caught on something. A button! With just a little pressure, the front of the base sprung open. A secret compartment, how mysterious, how exciting she thought. 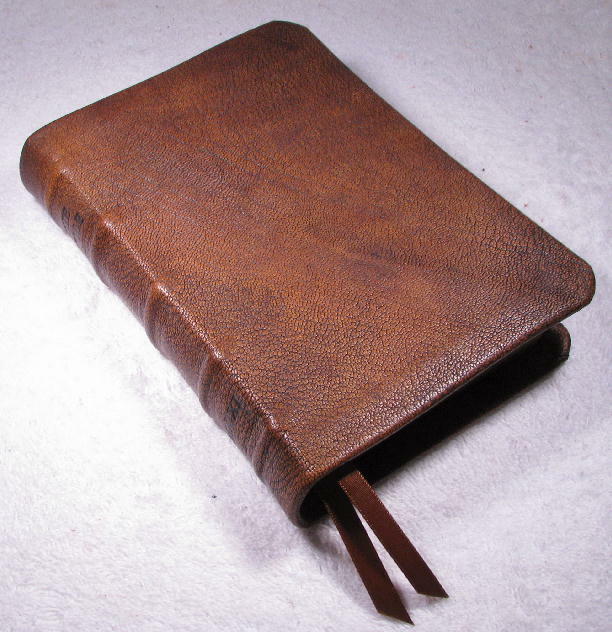 Looking inside she found a book, bound in leather and thick with pages. Her curiosity was piqued now, so she glancing round to make sure she was truly alone and then carefully lifted it out. The outer cover was devoid of adornment, giving no clue as to its contents. Imagining it to be in a similar vein as the book she selected last evening, she opened it. Elizabeth stared in disbelief at the words before her. Fitzwilliam Darcy, 1811. A Diary! It was Darcy’s diary! Elizabeth closed it and held it to her breast. She could not possibly read his diary, his inner most personal thoughts. Could she? It was beneath her, contemptible to even think such a thing. But then again, it might give her some clue as to his understanding of the events that occurred at Lucas Lodge, in which case it would be beneficial to them both if she explored its contents. Having rationalised her actions with her conscience, she lowered it to rest in her lap, out of sight should anyone enter. Letting it fall open randomly, Elizabeth began to read. Elizabeth realised she was reading the entries from just eight weeks ago, when she arrived for her visit with Charlotte. Knowing she would not have time to read every entry in full, she skimmed over the mundane items and read only what pertained to her. Blushing at the words describing his dream she moved on. My aunt was typically rude to her guests tonight; I care not what she utters to the imbecile Collins, or indeed his wife, which is most ungallant of me I know, but to treat Miss Elizabeth in the same manner is untenable. Yet what could I do but hold my tongue? If I defended her, would not my affections have been revealed, and I am not yet ready for all to know. I am decided though; they are to join us for tea on Sunday after church, and I will seek some time alone with Elizabeth that I may declare myself. These past weeks we have enjoyed intimate walks, and fluid conversations. No doubt she is anticipating my proposal, and I feel assured of a positive reply. When she looks at me with those expressive eyes, and the corners of her mouth turn up in playful jest, I want to fold her in my arms and take possession of those oh so tempting lips.…..
P/s I have warned Richard to steer his thoughts away from Miss Elizabeth. I know he was on the verge of making her an offer. He has returned to Town, but I will make my peace with him after Elizabeth and I are betrothed. It is done and done badly. I have compromised my beloved. Elizabeth was unwell and did not join us for tea, so I went to the parsonage. Knowing her to be alone, I sought her out. I asked Miss Elizabeth to do me the honour of becoming my wife, and to my surprise she refused me. I fear she holds me in contempt for my misguided intervention with Jane and Bingley. We exchanged some excessively harsh words in the heat of the argument. She told me I am arrogant and conceited, that I am not a gentleman, and that I am in fact, the last man on earth she would consent to marry. Yet as I looked into her eyes, filled with fire and indignation, I thought she had never looked more beautiful. I could not help myself; I was blind to her words of rejection, and drew her into my embrace and kissed her. Not once but several times. It was at this point that the toad Collins came upon us, and to prevent her reputation being ruined, I told him Elizabeth had accepted my proposal. A falsehood I know, yet I feel she is not so set against me as she protests, for the tentative response I felt was willingly given. I would have preferred her to come to me with love in her heart, but l hope in time she will find some regard for my affection. I have ridden on ahead of Elizabeth to seek Mr. Bennet’s consent, before a letter from the imbecile Collins is despatched, and completely damages my chance of a positive reception. I will seek an interview with him tomorrow. I am heartily ashamed of myself. My loss of control yesterday was inexcusable, and I have put my beloved Elizabeth in the position where she has to accept me. However, I do not regret tasting her soft cherry lips, and her naive response promises there is much more to be discovered. I am determined it will be only six weeks until we are wed, and have set a date for the 18th December in my mind. Then we can spend Christmas at Pemberley before we set off on our honeymoon, Italy I think. Besides I have already waited too long to have Elizabeth at my side. Charles has kindly agreed my use of Netherfield for as long as I need it. I have not confided in him as to the nature of my business in Hertfordshire, and wonder if he knew my purpose, would he be so generous? I rode to Longbourn early this morning, and sought out Mr. Bennet. His shock and surprise at my request, was nothing compared to his disbelief that Elizabeth has accepted me. Their disdain for my presence was barely masked, yet who can blame them. I have done little to ingratiate myself with my future in-laws, something I must work on and rectify with alacrity. Elizabeth is due to return tomorrow, but I will have to forgo being here to meet her, I have pressing business in town that cannot wait. I will, however, see her in the evening, as I have accepted Mrs. Bennet invitation to dinner. Elizabeth smiled. She remembered how vexed she had been by his absence. But her ire had been brief, for Mr. Bingley followed him in, and Jane’s face shone with happiness and anticipation. I have decided I must, due to the way our engagement came about, offer Elizabeth the opportunity to be rid of me. Bingley and Miss Bennet are also to be wed. I have confessed all, and he has forgiven me, yet still he asked for my blessing! Since taking Charles under my ‘wing’ at Cambridge, we have forged a strong friendship, but I fear I have yet to instil in him the importance of running his own life, as well as being master in his own home. I do not think Caroline or Louisa Hurst would have enjoyed as much mirth at the expense of the Bennet’s, if he took a firmer rein on his family. We are to ride to town tomorrow, to inform Charles’s sisters of his betrothal, but will be gone only a day. I will speak to Elizabeth on my return from Pemberley. I do not know what I will do if she decides to accept my offer, but it must be done. My conscience demands it! If the worst happens and she releases me, I cannot stay here. Maybe I will travel overseas; Byron heads for Italy shortly, and has asked for my company, perhaps I will agree. I spoke out of turn to Elizabeth today, and needing to explain my reasons why, I journeyed to Longbourn in the dead of night. It was to give Elizabeth a letter regarding my dealings with GW, and God help me, I was on the brink of damnation for what nearly passed betwixt us. I seem to lose all control when she returns my kisses with those sweet lips. When she draped her arms about my shoulders, and caressed the nape of my neck, I felt transported back to the library at Pemberley, and we are consummating our love again and again. I must try to control myself, and cease using any excuse to take these liberties. Elizabeth is a gentle woman, naive to the world of carnal knowledge. How am I to win her love and convince her I am a gentleman, when I act as a rake? Elizabeth blushed scarlet as she recalled the event to which he referred. Fool! I must put right what I have omitted to do. I must make a proper proposal to Elizabeth. One she will be able to recount to our children with pride and affection, rather than the actual events that lead to our betrothal. I would not have them think their father a beast that was unable to control his baser instincts. Though, each time we are together, I am convinced I am gaining Elizabeth’s affection and trust. She appears to welcome my attentions, and responds with a sweet innocence that only fuels my desire. I cannot rest at night; Elizabeth fills my dreams. Last eve I dreamt we were in the library at Pemberley, and she came to me, her hair abandoned and in her night attire. She began to undress me as I sat before the fire, savouring deep kisses, until we ended up tumbling to the floor. It culminated in us exploring each other’s bodies to fulfilment. I long to hold her in my arms at night, and wake to find her still beside me in the morning. I have retrieved mother’s ring from the safe, and will ask her for a second, and final time, to be my wife. Georgiana is eager to make Elizabeth’s acquaintance, and knows that I imparted to her the events of last year. Thankfully she was not vexed with me, but said she wanted to start her relationship with Elizabeth with openness and honesty. How proud I am of Georgiana, no longer a child but a young woman. To my immense relief, Elizabeth has not rejected me; instead she has confirmed our betrothal, and now wears my ring. I am sure Mother would have approved of my choice, as does Georgiana. She tells me she likes Elizabeth very much, and I understand the admiration is mutual. I find the events of the last few days have given me a feeling of euphoria. I thought I knew happiness in the past, but nothing compares to how I feel now. 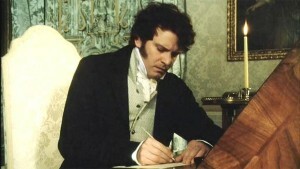 Before I left for Pemberley, I agreed a financial arrangement with Mr. Bennet. I will fund any extra cost of the wedding he incurs, and have arranged a line of credit for him to draw upon. He has assured me he will keep this arrangement strictly between the two of us. Although I do not doubt he has the funds for such a venture, I am acutely aware of how expensive female attire and trivia can be. I have only to look at the receipts from Georgiana’s modiste to remind me. Church was an ordeal today, but knowing that my beloved was at my side helped me keep my composure. All eyes were upon us, and my aversion to gatherings of un-familiar’s was at a premium. Her hand on my arm calmed me greatly. P.S. I thought the Revd. Muir glanced often in the direction of young Mary Bennet. He is unwed, and she is of a studious nature. Maybe there is a match to be made which would suit all. I must mention it to Mr. Bennet. I cannot deny my sadness that Elizabeth has yet to declare any regard for me. I know she enjoys my attentions, for she comes willingly into my embrace. We frequently share stolen glances, and sometimes I think I see affection there, but I cannot let myself imagine it, not until I hear her speak the words. I am bewitched by the captivating Miss Bennet, and December 18th cannot come soon enough. Having been made aware of their true association, Elizabeth understood Darcy’s abhorrence to this, and what he was willing to endure for her. Thankfully, providence had stepped in. Wickham is dead. I cannot write more of it now. I have arranged for him to be buried with his parents in the Pemberley parish of Kympton, it seems only fitting. Lydia is restored to her family, and seems unchanged for her ordeal. No word of the unsuccessful elopement seems to have emerged, and her reputation remains untarnished. Would that she has learnt her lesson, but I fear not. Only six days until my wedding. Richard informed me the mama’s of the Ton are already in mourning at my loss to the marriage market. I do not know if he speaks in jest, but I thank the Lord for Elizabeth, after God, she is my saviour. We are to attend the Lucas Ball in two days, and I am full of anticipation at dancing with my beloved. We have only danced once before, and the conversation was completely blighted by Elizabeth’s misconceptions of me due to Wickham’s lies. This time I am convinced it will be more enjoyable. I can barely put pen to paper. I had hoped, in time, Elizabeth would grow to love me; I know she holds me in some regard, and though this would be, for now, enough. Tonight though, my hopes have been shattered. I observed Elizabeth and Richard disappear into a private room, unaccompanied. Curious, I followed them. What I witnessed I can only describe as a lovers tearful farewell. Have I been blind all along? Did more pass between them when in Kent than I am aware of? Thankfully they were unaware of my presence, and believe me ignorant of the facts. If Bingley suffered such pain when he thought Jane did not return his affection, then I am aggrieved at having caused it. The reality of a broken heart is excruciating. Elizabeth’s breath caught in her throat as she realised she had falsely blamed Col. Fitzwilliam, for confessing all to Darcy, but it was worse. He had witnessed it for himself. Why had he not asked her for an explanation? But she knew the answer already. His damn pride she silently cursed. 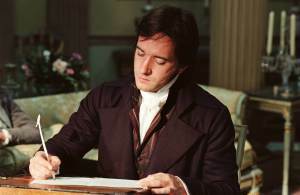 At Elizabeth’s behest, I have not called on her today; instead I have spent some time with Mr. Bennet. He asked my opinion on withdrawing Lydia and Kitty from society. He intends to send them away to school. He would have them less silly, and more in the mould of Jane and Elizabeth. I have agreed that the girls, and society, would benefit from this plan and encouraged him whole heartedly. Although I am unsure how Mrs. Bennet will take the news. He also told me that my assumption of last month was right. Mary is to be courted by Revd. Muir. I know I cannot live without Elizabeth in my life, and if I am to be a cuckold husband, at least it will be with Richard. I cannot stay angry at him, for who can blame him for falling under the spell of such an angel as she. Good grief, I find myself sounding more like Charles everyday…. We are married. Yesterday I took myself a wife, and last night I imbibed to excess purposely, so as to avoid my overwhelming desire to consummate my union with her. Elizabeth is mine, but in name only. So this is what they call hell on earth! Today we arrived at Pemberley, and Elizabeth seems genuinely pleased with my home. All the servants assembled to greet her; I hope she was impressed with the warmth of her welcome. Finally, I have my beloved with me at the place I feel the most at ease. Had it been but a week earlier, I am sure my heart would have been bursting with happiness, instead it feels leaden. I cannot let things carry on in this vein, and must decide what to do. But, what am I to do? My fear of becoming a sot is preferable to going to my wife. My wife, how I have longed to call Elizabeth that; however, I will not indulge myself in her embrace while she longs for the arms of Fitzwilliam. I cannot ask her, and it is clear she is not disposed to tell me what transpired between them. My only escape is to ride out early, work until exhausted, and then find solace at the bottom of the bottle. Yet my longing is more acute than ever, and my dreams are so vivid, I swear I can feel the warmth of her body next to me. It is a blessing we are alone. I am broken in body and spirit. The worst has happened. Elizabeth, while in my embrace called out the name of her lover. I am now certain that she cannot love me, for her heart already belongs to Fitzwilliam. This ache in my chest is as much a physical pain as any I have known, and yet I know no cure, but one, which is denied me. I cannot bear the agony of seeing her daily and not make her mine. I will stay until the New Year, and then visit Georgiana for a spell. I will then join Byron and his party on the continent; I know not when I will return. Elizabeth closed the two halves together, and stared down at the book nestled in her lap. Only now did she understand his all-consuming love for her. The pain she had previously caused him, paled in comparison to the depth of his agony now.